Long to be a land baron, with acres of lush grounds to create the ultimate outdoor paradise? That may be a dream for another time. For now, a smaller space is your reality, but that doesn't mean it can't be amazing. 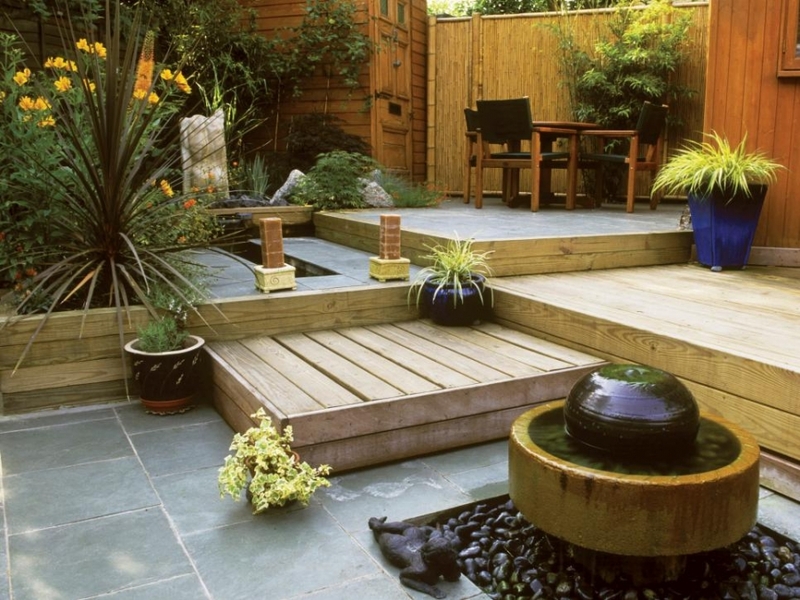 These 7 tricks will help your small yard live large. While a towering live oak may not be the right choice for your smaller yard, you don't have to give up on trees altogether just because you don't have acreage. Japanese maple and ornamental crabapple are just a few great options that will bring some color to your outdoor space. Our favorite: the crape myrtle, which maintains a manageable size and, "It's hard to beat the showy summer flowers, beautiful bark, and brilliant fall color," said Sunset. That patio set at Costco might be great deal, but how are that huge glass-topped table and eight rocker chairs going to look on your mini deck? There are plenty of options for small-space patio sets, and if you're looking to create an outdoor living room, building in the seating in this yard creates a welcoming seating area and keeps the rest of the space open. Finding the right hardscape material is only the beginning. How you lay it can make a big difference in the overall impact in your yard. "Creating a view along the diagonal of the property creates the illusion that the space is bigger than it looks," said HGTV. "Here, the diagonal path with steps traces a zigzag line through the garden, providing areas to linger and enjoy the wide beds and colorful plantings." Vertical gardens have been one of the top trends for outdoor spaces for a few years and are perfect for smaller spaces or yards where the floor space is limited. There are all kinds of fun planters you can use for a mix of greenery and flowers, or choose a climbing variety. 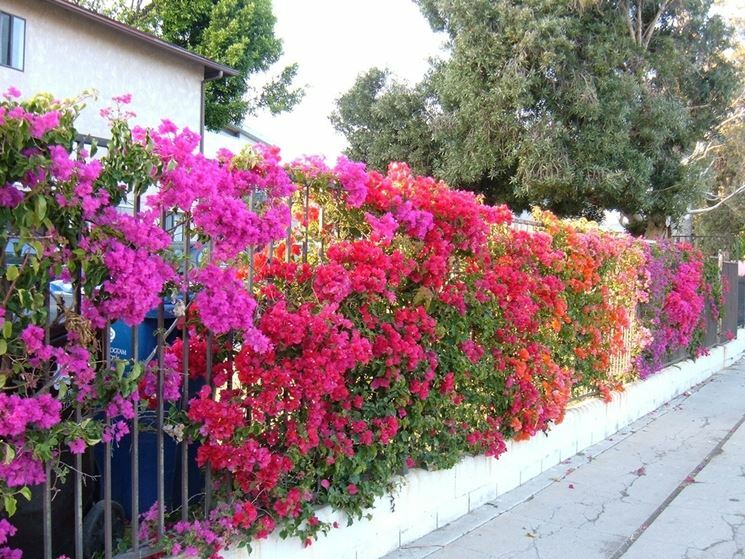 "Liven up a plain patio wall with a sun-seeking climber, like bougainvillea," said Good Housekeeping. "A simple stake in the dirt is all the trellis you'll need." You may think that the less you place in the yard, the larger it will seem. But think about how a house looks with no furniture; that emptiness doesn't always translate to roominess. Placing things randomly throughout the yard might not create the feel you want, so think strategically. "It may seem counterintuitive, but by dividing your yard into zones using garden beds and landscaping, you actually give the illusion of space," said Aussie Green Thumb. "Consider creating areas that are essentially a series of rooms, such as an outdoor paved area, a lawn section and then gardens of varying heights. This means when you look at the yard from any angle, you don't know what is around the corner and it could go on forever. It's about creating mystery and allure." The gardens are a great place to start, but you don't have to stop there. This multi-level deck creates so much interest that the size of the space becomes an afterthought. Container gardening makes even the smallest outdoor space game for some greenery. "No space? No problem! You can grow flowers, herbs, and even vegetables in pots," said Rodale's Organic Life. "Container gardening is ideal for those with little or no garden space. In addition to growing flowers, gardeners limited to a balcony, small yard, or only a patch of sun on their driveway can produce a wide variety of vegetable crops in containers containers. Basil, chives, thyme, and other herbs also are quite happy growing in pots, which can be set in a convenient spot right outside the kitchen door."